Creating a beautiful landing pages and pretty websites in general is no easy task and so many are looking for something unique, something a good web designer can offer. If you are looking into building something simple yet elegant keep in mind that the vue-particles component is out there, offering a nice solution or alternative to a static background. Below you can find a usage example using the props offered to make the floating particles unique. 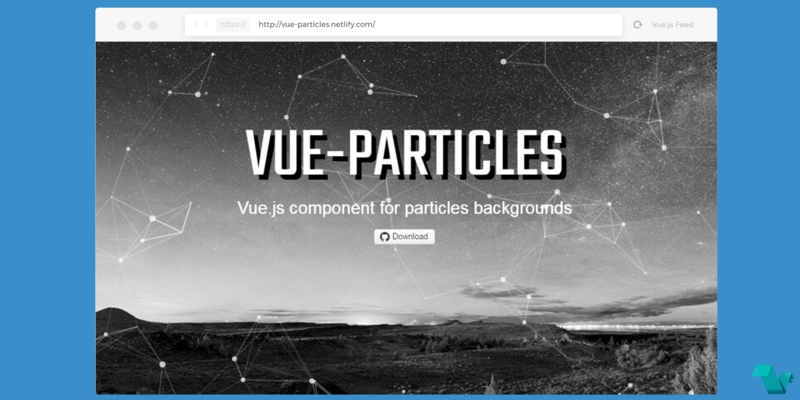 The vue-particles plugin has a demo & docs page (explanations for the props), along with a GitHub page where you can give a star and take a look at the source code.